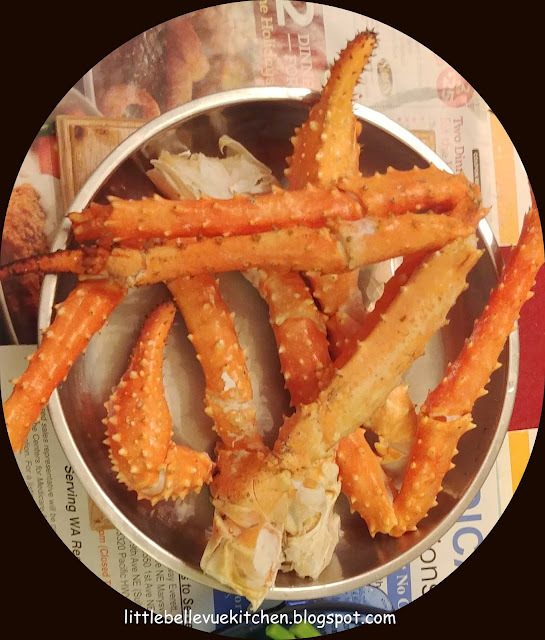 Place the crab legs on a large plate. 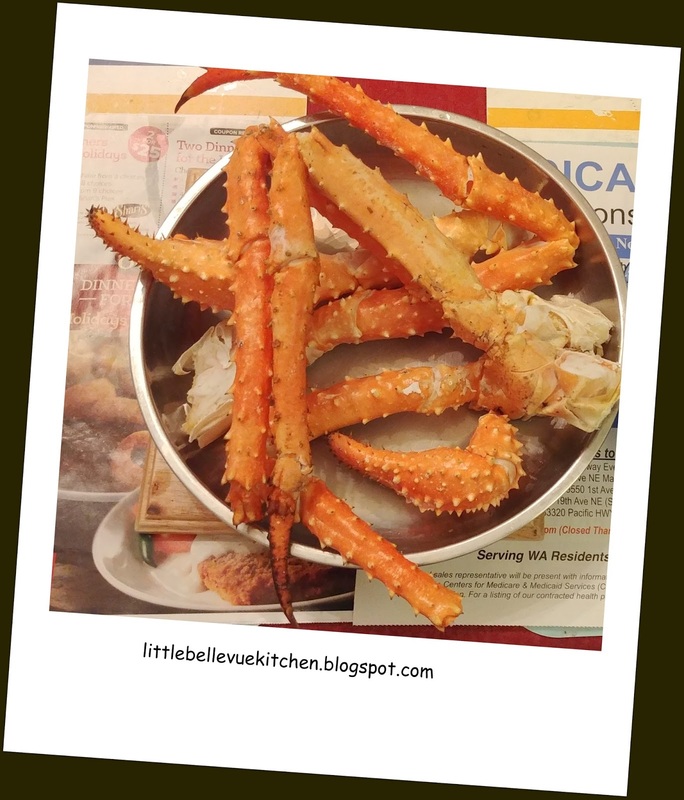 Prepare a steamer, when water is boiling, put the plate of crab legs in the steamer and steam for 5 minutes over high heat. Serve warm with some melted butter. Simply delicious!